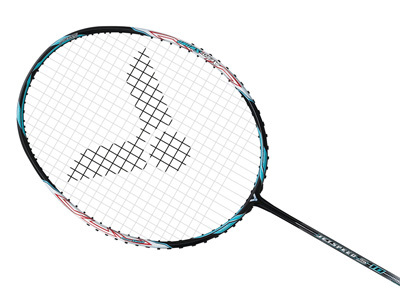 What is the difference between Yonex JP & SP/IP coded items (rackets, strings, etc.. )? Why are JP items more expensive than SP/IP items? Yonex has NEVER officially published or released any information regarding the quality issue or difference on different coded items. Yonex sells JP merchandises within Japan at a premium price. MBS imports JP items directly from Japan and hence JP items are sold at a premium price to other coded items. Comments made by other users are strictly their personal views. Perspective buyers should understand that no official answer has been released for the above question. Are the Yonex items sold on MBS site genuine and authentic? MBS is an authorized reseller of Yonex SP/IP coded items in Hong Kong. MBS obtains all Yonex SP/IP coded merchandises from Sunrise Sports Limited, the Official Distributor of Yonex Company Limited for the South Pacific region. Besides Yonex, all other brand of merchandises sold on MBS site are 100% genuine and authentic, sourced from the brand manufacturers directly or their authorized distributors. How do I pay with PayPal during checkout? PayPal accepts payment from funds in your PayPal account or directly from your credit card. Credit card payment is subject to credit review by PayPal Fraud Review Team. When will MBS ship out my order? Once your order went through and payment made sucessfully online it will be under the "Pending" status. MBS staff usually acknowledges pending orders within 24 hours from receipt of payment. Providing there is no complication with your credit card payment, the order will go straight into "Order In Progress" status. From this point, your order will be processed and packed for dispatch within 3-7 business days. If any of the items you ordered is out of stock, MBS will let you know the approximate waiting time and MBS reserves the right to dispatch the order partially, then dispatch the remaining items later when they arrive in stock. What is the status of my order after dispatch? Mail Tracking problems? How long would my order take to reach me? Will I be charged any tax / customs duty? Orders placed online and dispatched from Hong Kong to your country should be regarded as overseas transactions and therefore no sales-related tax (such as VAT or GST) should be charged to the receiving party. By instruction of the customer, MBS can mark the order as either MERCHANDISE and give it a full value, or mark the order as GIFT or SAMPLE (NOT FOR RE-SALE) and give it a reasonably lower value. However, whatever way we mark the parcel, it will be the discretion of the Customs Office of the respective country to decide whether or not to levy duty on the parcel. Good ! Nice very ok Okk ok ok ok ok oGood ! Nice very ok Okk ..